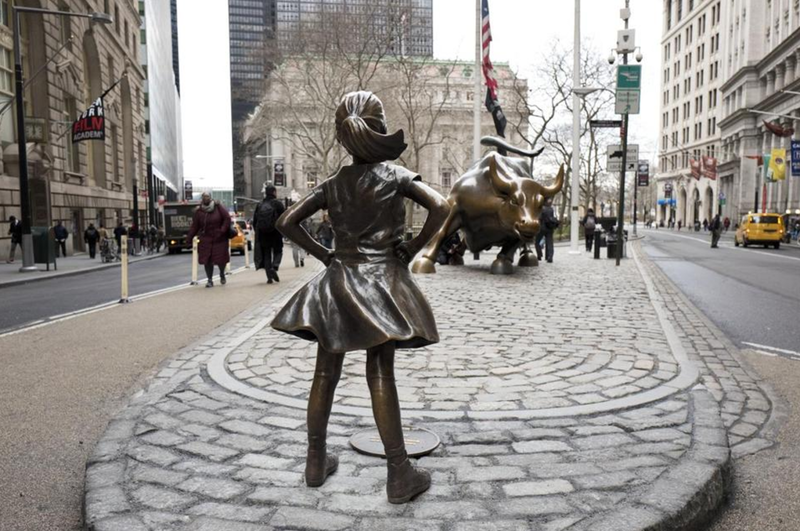 Just in time for International Women's Day, a sculpture has been installed across from the famed "Charging Bull" (aka Wall Street Bull or Bowling Green Bull) in Manhattan's Financial District. 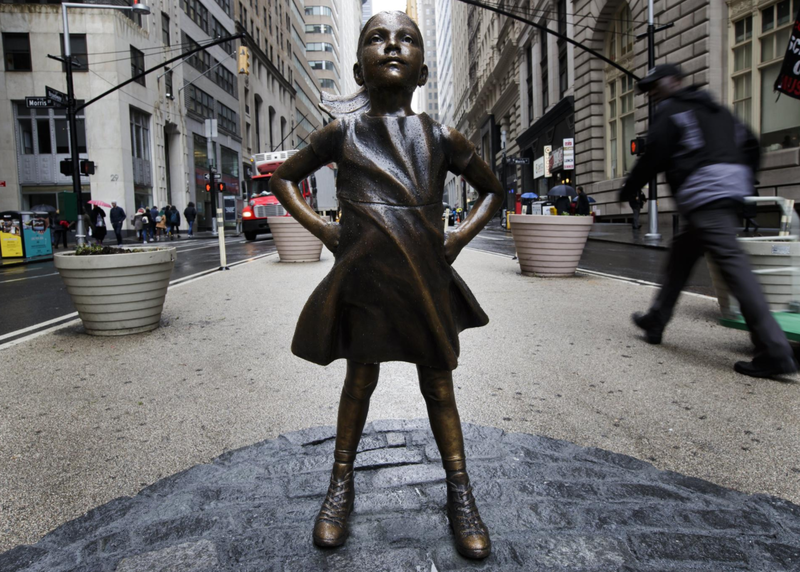 "Fearless Girl" is a bronze sculpture by artist Kristen Visbal. Her presence is meant to send a message regarding gender diversity in the workplace - including, of course, in the boardrooms. 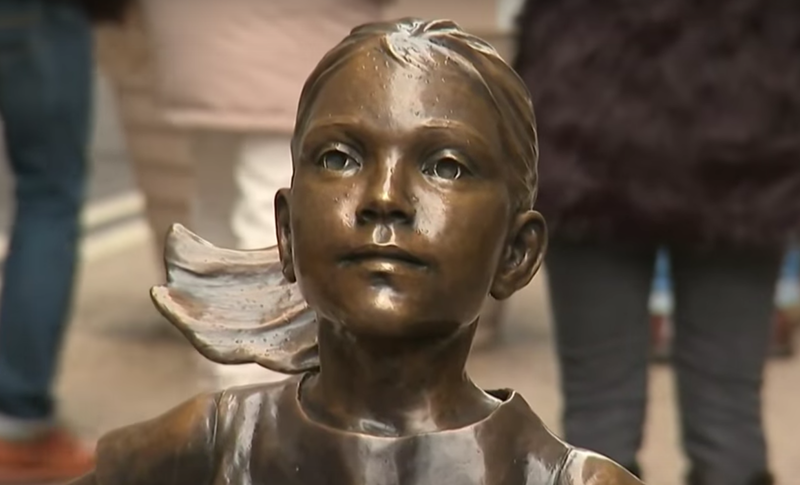 Fearless girl's nonverbal signals are so well embodied - it's as if we can hear her thoughts. Her hands, and more specifically her closed fists, are held akimbo on her hips. 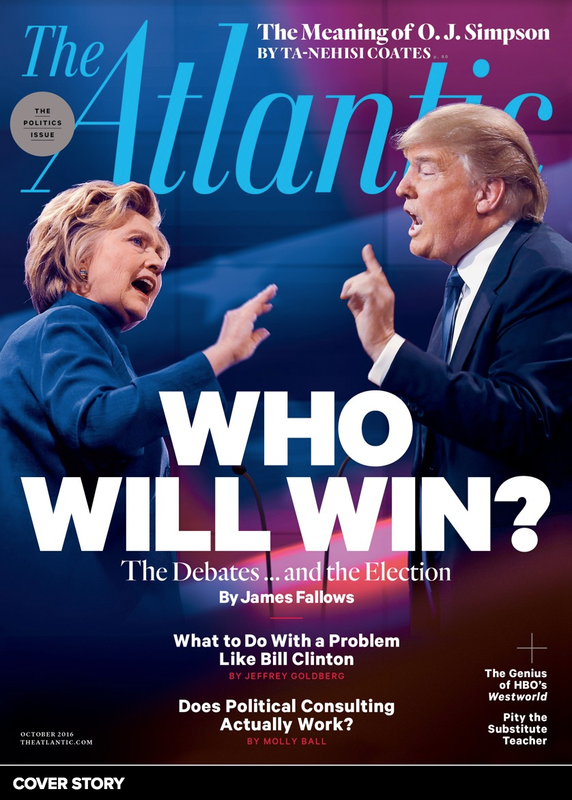 This nonverbal signal is of a higher alpha emotional state (more assertive and strong) than if her hands were open with her fingers forward - which is in turn, more alpha than if she was akimbo with her thumbs were forward. Her elbows are pointed out laterally - but angled back about 20-25 degrees. If they were in the same plane of her torso (straight out to each side), her body language would be even more defiant. Her nonverbal power would be even further up-regulated if her elbows were angled forward. Her facial expression is without fear. There is no tension on her face - it's relaxed and confident. Fearless girl's "Whole-Body Pointing"(pointing directly with one's feet, hips, torso, face and eye/eye contact) toward the Charging Bull projects a particular boldness, courage, and confrontation. The forward thrusting of her chest - as well as her head, especially her chin/jaw - is indeed a hyper-alpha body language stance. It's as if the little girl truly has no fear - and is challenging the raging bull to a fight. Though she be but bronze, Fearless Girl speaks to us - and we should listen.